The Acting Inspector-General of Police, Ibrahim Idris, has deployed a special force, comprising the mobile police force, the counter-terrorism unit with the back-up of an Air Surveillance Team to flush out vandals and other criminal elements operating in Arepo and Ibafo areas of Ogun State, Southwest Nigeria. The special force is part of the Tactical Operation Unit of the Nigeria Police Force sent to curb the rampant activities of vandals and criminals in Arepo and Ibafo areas in recent times. However, the IGP said the deployment of the Tactical Operation Unit to Arepo and Ibafo was to ensure that normalcy returned to the areas in record time. The two towns have been turned into battle zones by vandals and other criminal elements who operated with impunity, killing and maiming innocent residents. Recently, the security convoy of the deputy governor of Ogun State, Mrs Yetunde Onanuga was attacked by gunmen in Arepo. 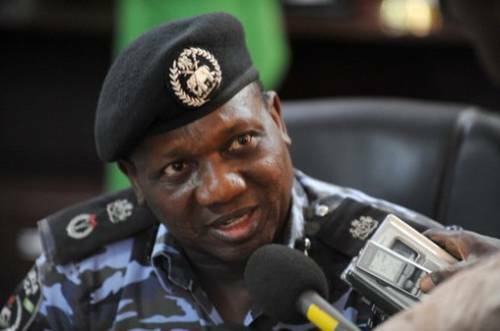 Idris, in a statement issued by the Force Public Relations Officer, DCP Don Awunah also said the Nigeria Police would not spare any criminal group operating in the areas. He, therefore, authorized the special force to deal decisively with anyone who constituted himself as an enemy of the State, while urging law-abiding citizens of the area to return home and go about their normal activities.